Former Breitbart editor Milo Yiannopoulos' visa application was denied by Australia's Department of Home Affairs a couple weeks ago. The reason? His character. The decision was made based off an incident in which Yiannopoulos allegedly sent $14.88 via PayPal to a Jew. According to The Sydney Morning Herald the number 1488 has significance. It's supposedly used by white supremacists and neo-Nazis because "14" represents the mantra of securing a future for white children and "88" represents "Heil Hitler." Just last week Immigration minister David Coleman approved Yiannopoulos' application, despite reluctance from his advisors. Now, that approval has been rescinded. "Milo Yiannopoulos will not be allowed to enter Australia for his proposed tour this year. Mr Yiannopoulos' comments on social media regarding the Christchurch terror attack are appalling and foment hatred and division," Coleman said in a statement. "The terrorist attack in Christchurch was carried out on Muslims peacefully practicing their religion. It was an act of pure evil. Australia stands with New Zealand and with Muslim communities the world over in condemning this inhuman act." 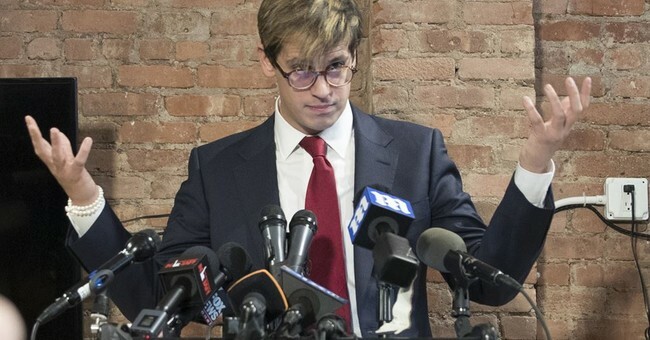 The decision comes after Yiannopoulos made posts on social media about political violence. Whatever you think about her, Candace Owens had nothing to do with what happened in New Zealand. People aren’t radicalized by their own side. They get pushed to the far-Right BY THE LEFT, not by others on the Right. Likewise, the violence directly inspired by grassroots Right-wing media figures comes from Antifa, not our supporters. Attacks like this happen because the establishment panders to and mollycoddles extremist Leftism and barbaric, alien religious cultures. Not when someone dares to point it out. I explicitly denounced violence. I said that we on the Right are constantly disavowing racists. I pointed out the inconvenient fact that it is Leftists committing the majority of political violence. And I criticized the establishment for pandering to Islamic fundamentalism. So Australia banned me again. Note that not a single word or phrase I used is quoted by the Australian government. To do so would reveal that I said nothing remotely objectionable. This is why you should never temper your speech for the scolds, nannies and censors of the elite establishment: it doesn’t make any difference. They ban you anyway. All you do is compromise your principles. Coleman and his party deserve to be annihilated at the next election for their betrayal of such fundamental western values as free speech and for cravenly folding to pressure from the Left. And I suspect that electoral annihilation is exactly what’s about to happen.